Microsoft will release the second batch of Tuesday patches in 2019 tomorrow. The cumulative updates to Windows 10 include security and non-security fixes, as well as improvements to earlier releases. Keeping the system up-to-date should have been the safest choice. If you don't update for a long time, the next time you focus on patching, it will take more time. Unfortunately, since Windows 10 was officially released, its reputation has been poor. If deployed rashly in the production environment, rollback is not compatible with light, heavy will seriously affect the daily work. 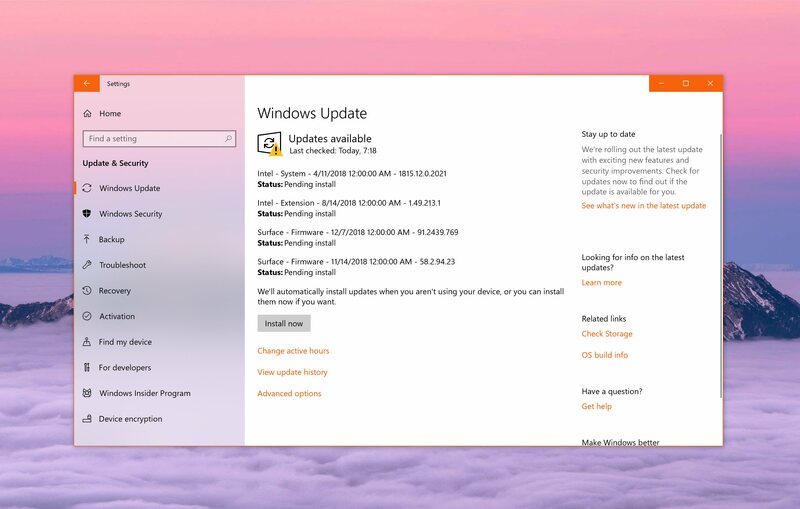 For the second "patch Tuesday" of 2019, Microsoft did not disclose details of the cumulative updates to Windows 10. It should be pointed out that users of the home and professional editions need to update to the autumn creator (1709) version 1709 and above. Earlier systems, only the enterprise version andeducationThe branch of LTSC can only be supported by LTSC. Users of Windows 10 1809, launched last October, will receive a batch of cumulative updates. After exposing the big bug of mistakenly deleting user data, it has undergone a rebuilding. Follow-up improvements to the October 2018 Windows update are still in progress. I hope Microsoft can improve system performance and fix the remaining annoying bugs in tomorrow's patch. For example, fix Microsoft Jet using Microsoft Access 97 file formatdata baseErrors that may not be opened in an application. Microsoft initially said that a patch to the problem would be released in early February, but now it appears that the company has delayed it until Tuesday. In addition, although Microsoft did not give a specific ETA time, the February patch is expected to fix the problem that Microsoft Edge cannot load locally.websiteBug. As for the details of this update (and possible new problems), please also pay attention to our follow-up reports.